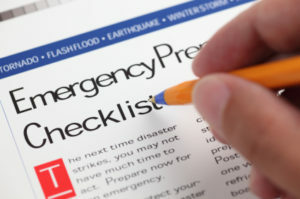 If you’re taking the NREMT exam for the first time, you may be fearful about how to prepare for it. And if you’re recertifying with the test or re-taking it due to previous failure, you need to have some solid studying and test-taking strategies in your tool box. Therefore, here are seven questions answered for you about the exam (one with a bit of a daunting reputation), so you can slay this EMS dragon on your next (or hopefully first) attempt. 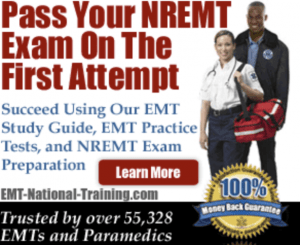 Also, if you’re serious about passing the NREMT exam, you can find online EMT and Paramedic practice tests that will try to help you pass the examination on your very first attempt. There’s no doubt about it: the NREMT exam has its challenging reputation for a reason. According to the National Registry’s most recent published data from 2014, on a national average, approximately 33 percent of EMTs fail the test on the first try and 23 percent of paramedics fail on their first try. While that statistic sounds like something between boot camp and making it into the NBA, it’s not as bad as a looks (see our second step), nor is this an entirely bad thing. Look around at your EMS classmates and fellow test takers. Think about some of the hair-brained things they’ve said in response to an instructor’s or EMS director’s questions. Do you really want all of them trying to help real, sick or injured human beings, as well intentioned as they may be? The NREMT exam is designed to weed out people who aren’t ready yet (“yet” being the operative word) to care for patients in the field. If your parent or kid in respiratory distress were lying on a cot, would you want someone who was kind of fuzzy about how to maintain an airway and administer oxygen taking care of them? Do you want the person who doesn’t know the tibia from the ulna splinting your broken bone? High standards for the NREMT test are a good thing. Yes, you can pass the NREMT test on the first try—despite what you may have heard elsewhere. In fact, look at the statistics above. If 33 percent of EMTs and 23 percent of paramedics fail the exam, it means 67 percent and 73 percent, respectively, passed the test. You can be in those passing percentages if you are aware of how the test works and how to study for it. Proper and thorough EMT prep is the way ace the exam. The NREMT test has two components: the cognitive test (what used to be the written test) and the psychomotor, or practical, test. The latter portion of the exam takes you through a bunch of skills stations, where an exam administrator checks off a sheet with steps for each skill, like immobilizing an injured joint or dealing with a medical emergency. You can print and download these skills sheets on the National Registry website and use them to practice for your practical exam. You can also use the sheets to help you remember the order of care-giving elements when you sit down to take your cognitive exam. As mentioned above, the cognitive test used to be of the fill-in-the-bubble written variety until 2007. At that point, the NREMT test was changed to a computer adaptive test (CAT). Now, all exam candidates take the test online. 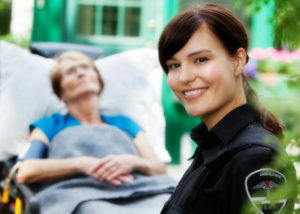 The online testing process allows for more accurate screening of qualified EMS personnel. The computer adaptive model means that when you answer a question correctly, the test advances to either a more difficult question on the same topic or a completely different topic altogether. However, if you answer a question incorrectly, the computer wants to know if this is just a fluke or if you really don’t know this area of emergency prehospital care (remember, screening for qualified EMTs is a sound idea.) It will keep throwing questions at you on the same topic until you either fail that topic or start giving correct answers. The NREMT computer system needs to be sure with 95 percent certainty that you know the material. The topics on the NREMT exam are roughly how your coursework was divided up: EMS operations; trauma; medical and OB/GYN; cardiac arrest and resuscitation; and airway, ventilation, and oxygen administration. You need a minimum of 70 percent correct answers to pass, but since this is a reflection of your predicted performance in the field, of course, most people try to score much higher. Step 4: Understand What to Expect on the Test? Since the CAT model of testing on the NREMT exam bases each question on the previous answer, there is no skipping questions or going back to them later—that’s a tough change for people who like to take exam questions in any order they like. But think of it this way: when you’re working on a live patient in the field, you shouldn’t be going back and saying, “Oops, I really meant to dress that wound before loading that guy for transport,” right? Expect to see some logic applied to the test, which is in simple, multiple choice format. If you start getting easier questions on the same topic, it could mean you didn’t answer correctly at first. The computer is trying to determine if you know anything at all on the subject. If the questions start getting harder, or they switch to a new topic, assume you answered a previous question correctly. If the exam cuts you off right around 70 questions, you probably did very well, as this is the minimum for the exam. If you find yourself answering 120 questions—the maximum for the EMT-Basic test—you may have run into trouble. And if you’re getting a high number of questions, don’t give up, because you could still pass with a strong finish. There are some spots on the NREMT exam where test takers typically get tripped up. Don’t read more into a question or make it more complicated than it needs to be. Remember that all the information you need to arrive at for the answer is housed within the question itself; there’s no need to guess or throw a lot of “what ifs” into the equation. In most cases, two possible answers can be eliminated immediately because they’re not remotely correct. Always look to see if you can whittle your answers down to only two choices (some questions, however, will be correctly answered with “None of the above” or “All of the above”). Once you have two possible answer choices, look for the most straightforward answer. Sometimes both answers could be correct, but you want to find the one that is most correct. Look for words that change the meaning of a question, like “always,” “never,” “sometimes,” “anterior,” or “posterior.” Read each question carefully and understand what it is asking. Be alert for patient information that indicates a critical situation. If you’re asked what to do next, it’s not going to be immobilizing a joint—more likely something like ventilating the patient, administering medication, or getting the patient ready for rapid transport. Always look for airway problems. Why? Failure to secure a proper airway or to ventilate the patient when necessary has long been a problem in the prehospital setting. Airway mismanagement can lead to worsening of conditions, death, and legal liability. The NREMT exam wants to make sure you have this covered. Watch your time. You can fail the exam by running out of time (approximately two hours) before answering enough questions for a satisfactory grade. Since you can’t go back to unanswered questions, make an educated guess from the two most plausible answers and move on. Don’t forget to know relevant pediatric information for certain emergencies, like resuscitation and respiratory distress. While about 85 percent of the NREMT questions are about adults, roughly 15 percent will relate to treating children. Be ready on exam day. Eat a solid meal, be well hydrated, use the restroom immediately before the exam, and have a good night’s sleep under your belt. Don’t drink a lot of caffeine, since it will only make you more nervous. Give yourself plenty of time to get to the testing facility. Don’t forget to bring your ID! Step 6: Know How to Prepare for the NREMT exam? There’s no magic bullet for passing the NREMT test—you either know the material or you don’t. You can significantly improve your chances, though, by using a methodical study process to learn the material and to practice taking the exam. In addition to taking thorough course notes, doing all your reading, and forming a study group with your classmates or colleagues, using an online study guide is a wonderful new alternative that wasn’t available in the early days of the test. There are loads of sites on the Internet now that offer to get you ready for the NREMT test, but only a few of them are truly high quality. EMT National Training is one test prep site that aims to prepare those that want to become EMTs and Paramedics properly pass the exam. How do they do this? Well, they have study guides, practice questions, and simulation exams for all levels of responder. With a subscription, you can log in to review material, create mini practice tests in any area you need, and take a full-length exam that simulates the real thing. The 3,000 questions available to you on EMT National Training have been composed by professionals who know how the NREMT exam works and the standards it tests for, based on NHTSA (National Highway Traffic Safety Administration) and AHA (American Heart Association) data. The 110,000 paramedics and EMTs who have used this site like its downloadable study guide, superior customer service (you can call or email for explanations to any questions), and ability to be used on a tablet or smart phone. There are apps you can download for the NREMT test too, although they’re not as comprehensive as the site described above. Pocket Prep makes a highly rated test prep app that works on both iOS and Android devices and has 800 questions in its practice bank. At a lower price point (in-app purchases run about $10.99 to $12.99), the Pocket Prep NREMT app is a good choice for people without access to a computer, for those on a super tight budget, or for those who only have a few weeks before the exam, making a subscription site not worthwhile. The NREMT exam is tough, but it doesn’t have to strike fear in the hearts of every potential EMT and paramedic. If you follow the tips above and use a quality test preparation process, you can pass on your first try and join the ranks of those who proudly wear the Star of Life. For more on this topic, please bookmark out Paramedic Training Spot Facebook page.